Add an additional $15.00 heavy/bulky shipping charge per each. McKenzie® HDTM Bison Target. The super-realistic target that's the next best thing to the real deal! Double-take realistic detail! When you're itching for hunting season to start, McKenzie®'s HDTM line gives you the ultimate pre-season workout! 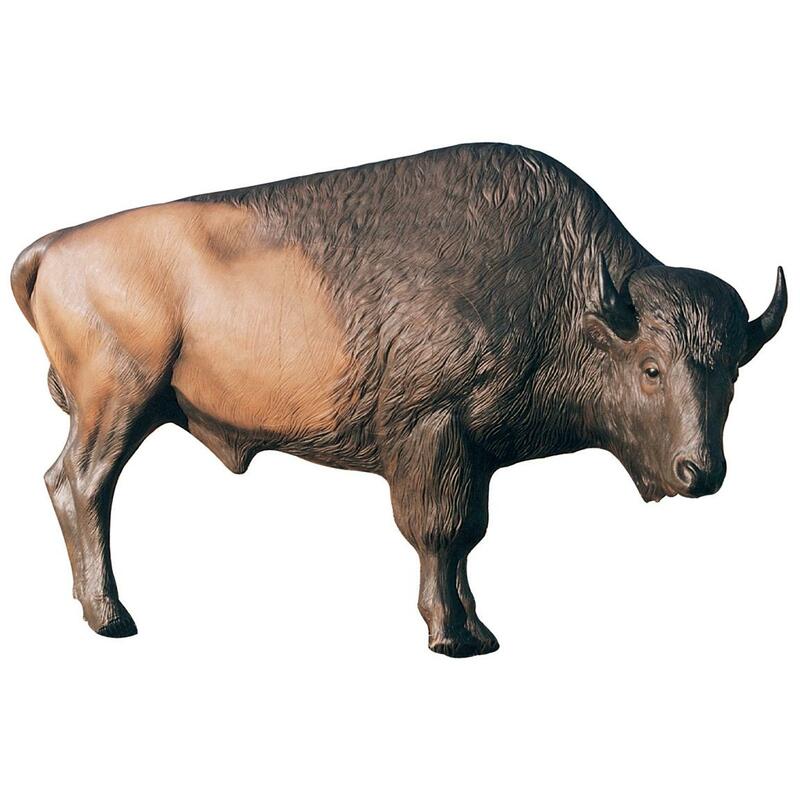 Not only are they crafted with amazing true-to-life realism (this 74" long Target represents a 1,000-lb. bison), but they're also constructed with the best technology available to withstand blazing arrows from even the fastest bows. Practice real life hunting situations with this tournament-ready target, and you'll see the results of your work this hunting season! Shoulder height: 56" Body length: 74". Sharpen your shot with pro-quality Targets! Order Today! Stops both arrows and crossbow bolts at speeds of up to 400 F.P.S. Measures 20" x 20" x 20"h.
Takes all the abuse you can dish out and more. Guaranteed to stop the heaviest-hitting bows.